I'm usually not one for glittery nails- they look lovely but take ages to come off, Recently, as Christmas and New Year draws closer and closer, I've seen so many beauty brands bring out their variations of nail glitter. I've also seen so many people going for an accent nail, rather than the whole shebang. So I thought I'd give it a go, and I have to say I'm pretty happy with the results. 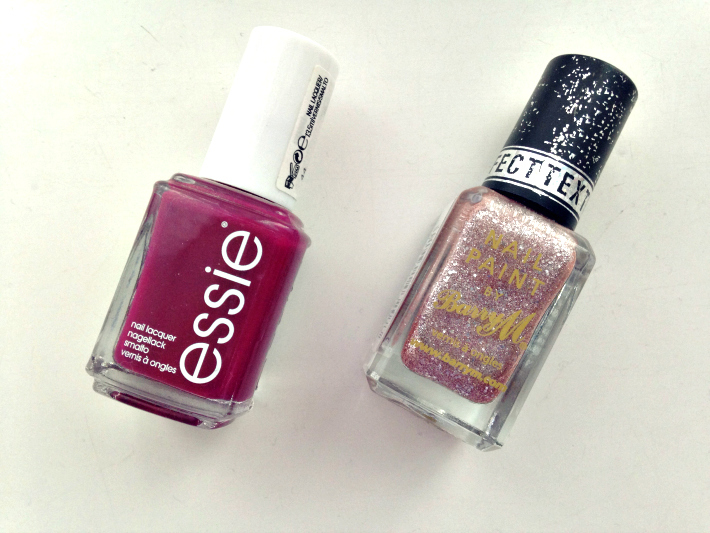 You can never go wrong with Essie, and Bahama Mama is the perfect transition shade from Autumn to Winter. The Barry M glitter offering is beautiful. I got it for my birthday earlier in the year and I completely forgot I had it. It has red undertones so it compliments Bahama Mama perfectly. 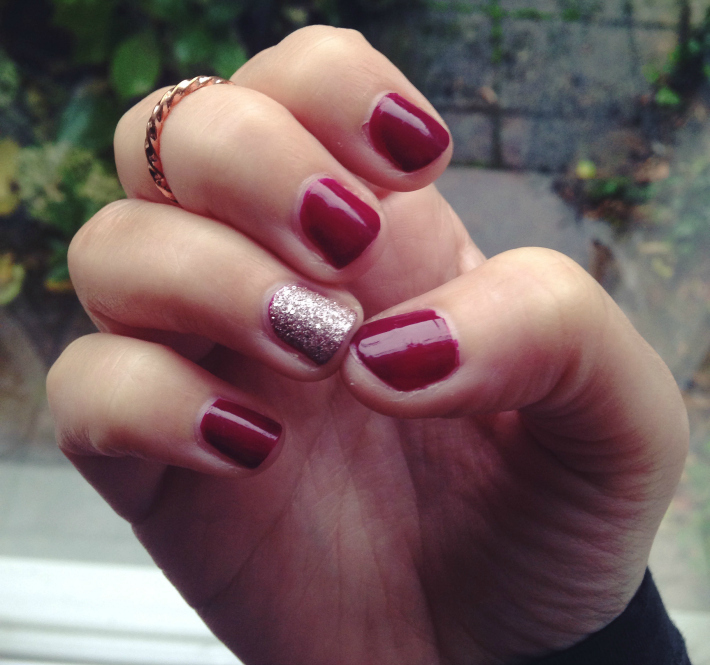 Do you like the glittery nail trend?